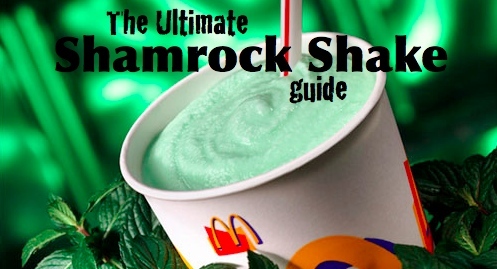 Ultimate McDonald’s Shamrock Shake Guide « Gluttoner: You gonna eat that? 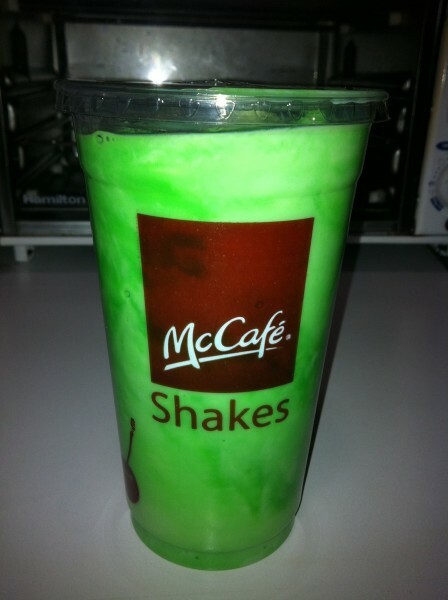 St. Patrick’s Day means only one thing: SHAMROCK SHAKES AT MCDONALDS. For those living under a vanilla, chocolate, or strawberry rock, Shamrock Shakes (officially “Shamrock Triple Thick® Shakes”) are tasty minty green shakes that Mickey D’s only rolls out at select locations around St Patrick’s Day. In honor of this special beverage, we’ve put together the most comprehensive Shamrock Shake FAQs and resources right here. The first thing you’re probably wondering is what’s in a Shamrock Shake besides pure McAwesomeness in a cup? Vanilla Reduced Fat Ice Cream: Milk, sugar, cream, nonfat milk solids, corn syrup solids, mono- and diglycerides, guar gum, dextrose, sodium citrate, artificial vanilla flavor, sodium phosphate, carrageenan, disodium phosphate, cellulose gum, vitamin A palmitate. Shamrock Shake Syrup: High fructose corn syrup, corn syrup, water, sugar, natural flavor (plant source), xanthan gum, citric acid, sodium benzoate (preservative), yellow 5, blue 1. McD’s is now listing both whipped cream and maraschino cherries as ingredients in the shake. Technically we would consider those to be optional toppings as most cashiers will ask you before putting those two items on your shake but McDonald’s has updated their nutritional information to reflect those ingredients. That’s 420 calories, 90 of which are from fat, 30% of your daily recommended saturated fat, 24% of your daily carbs, and 62g of sugar. On the plus side it has 30% of your daily value for calcium, 15% of your vitamin A, and 9g of protein. If you’re doing a points system it’s 5 carbohydrate, 2 fat. That’s actually not that bad for you until you realize that’s the kiddie cup size. (Note for 2013 with the whipped cream/cherries added it is 530 calories). 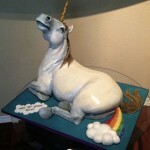 How about a more realistic medium size? Note that for 2013, the 21oz size is upped to 22oz, and no 32oz size listed on their website. With the whipped cream/cherries added, the new calorie count for 22oz size is 820 calories and 77% of your daily recommended saturated fat. Where can you get a Shamrock Shake? The shakes are sold in limited quantities at select McDonald’s for a limited time only, so you can’t just walk into every single location expecting to pay your green to slurp the green (UPDATE for 2012: available in all US locations!). You can however use the handy Shamrock Shake locator website to see if it’s been spotted a location near you. Sorry Canada, doesn’t look like they’re available north of the border. The Shamrock Shake release date is typically about 3 weeks before St. Paddy’s Day but it will vary by location. In one particularly egregious incident of someone using their celebrity power to their advantage we have The Jimmy Fallon Shamrock Shake Scandal. Way back in 2010, a certain New York City McDonald’s had the rare shake on tap. But before the general public could get their hands on this tasty dessert drink, one man came in to the restaurant and bought 100 Shamrock Shakes, completely emptying the machine out. That man was Jimmy Fallon (or more likely one of Jimmy’s staff). 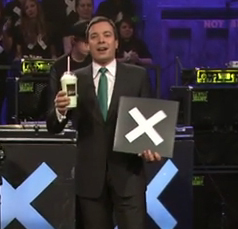 Jimmy proceeded to do his own redistribution of wealth by giving out those 100 Shamrock Shakes to his studio audience. Add all the ingredients and blend on high until well mixed. Drink with a straw. Enjoy! In 2010 the world’s largest Shamrock Shake was created by McDonalds and their advertising agency Leo Burnett in Chicago to raise funds for the local Ronald McDonald House (also the world’s largest). $10,000 was raised. 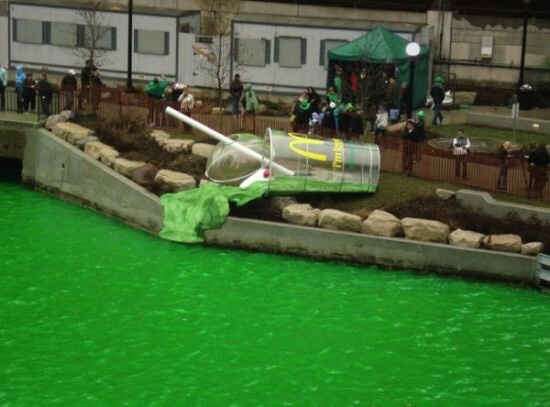 This giant shake measured 24 feet and was place along the green-for-St. Patty’s Chicago River. 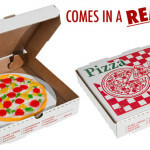 Was this mildly inappropriate ad the inspiration? In 1974, the owner of the Philadelphia Eagles teamed up with McDonald’s to sell the shakes in the Philadelphia area as a fundraiser to purchase a house near the Children’s Hospital of Philadelphia as a temporary residence for families of children being treated there. The shakes were green, the Eagles colors were green- it was the perfect tie-in. Enough green shakes were sold to buy the house which became the first Ronald McDonald House (of which there are now over 300). It was reported on multiple websites of a change in the Shamrock Shake formula for the 2010 season. With McDonald’s introduction of the McCafe concept, the shake no longer came in the paper soda cup but instead in a clear plastic cup. And workers began offering both whipped cream and a cherry as a topping for all shakes (how are you supposed to get the cherry up through the straw anyway?) But the major complaints are with an actual change in flavor with many people saying it had more of a vanilla taste, was not minty enough and it was not mixed well. 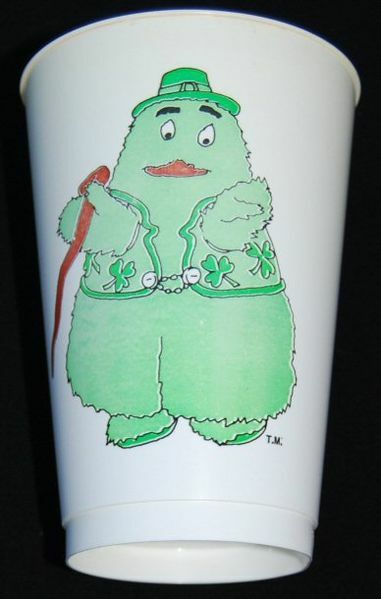 According to McDonald’s spokesperson Ashlee Yingling, the Shamrock Shake will be available in all 14,000 McDonald’s locations in the United States for the 2012 season. This is the first time the shake will be made nationally available. 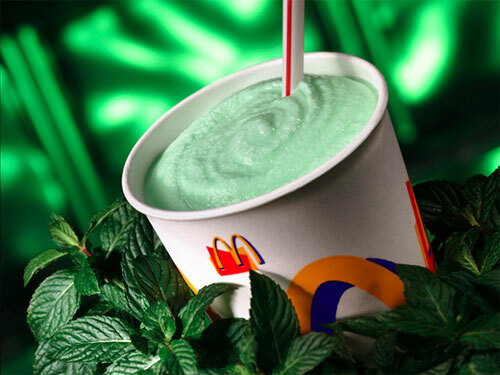 Reports of Shamrock Shakes are coming in as early as the first week of February for 2013, so be on the lookout for a nationwide rollout near your local Mickey D’s. 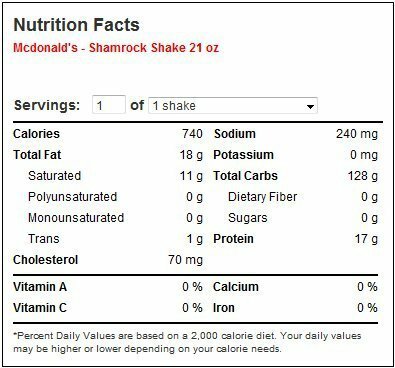 On the McD’s website they are listing it as the McCafe Shamrock Shake and including both whipped cream and a maraschino cherry as official ingredients and thus changing the nutritional information from years past (more calories!) See above for updated info. Have you tried the Shamrock Shake? Are you finding it available at your local McDonald’s? How does it taste this year? 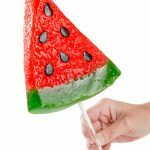 Do you remember having them as a kid? Do you want to see Uncle O’Grimacey return? Can assure you that the Shamrock Shakes -ARE- available North of the border. In fact I think they kept them running in Canada for a few years after they disappeared from the US stores. Love the Idea of the Shamrock Shake. Confused how McDonalds manages to get 1g to 1.5g Trans Fat in the Shake? Already saw transfat in the breads, and hence most meals. Natural Milk and Ice Cream do not have that level of trans fat, so where is it coming from in McDonalds food? 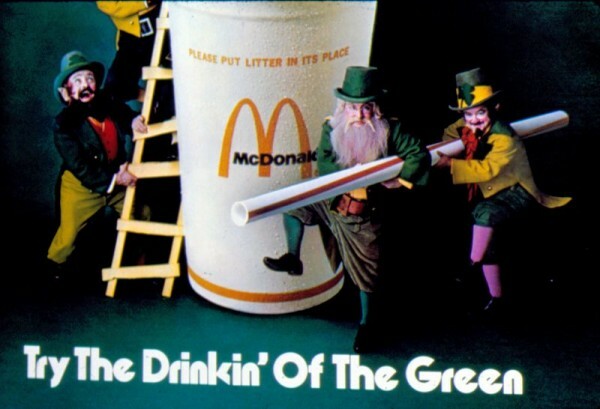 I used to love the Shamrock Shakes in the 1970s BEFORE they added the mint flavoring. I’ve never cared for them since. So you loved a vanilla shake? That’s what Shamrock Shakes were before mint: Vanilla with green food coloring. THANK YOU, GORBACHENKO! 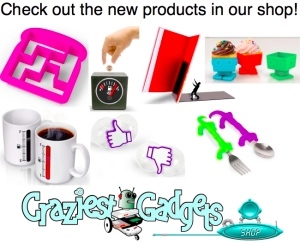 I thought I was crazy! Back in the day there was no MINT. It was delish. The Shamrock Shake contains ingredients tied to cancer. You can’t buy them anywhere in California! 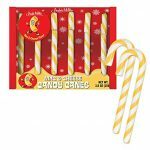 Every store I called within our area doesn’t have them and I was told they are not for sale anywhere in California! Epic fail and stupid move from McDonalds!